Application for More Artists Still Open! Can public art help increase voter turnout in Philadelphia this November? If you remember from a few weeks ago, I mentioned that I will be working over the next several months on a project called “Next Stop: Democracy!” to answer that one simple question. And today, I’m excited to announce that 3 of our area’s most celebrated artists will be working on it with us! 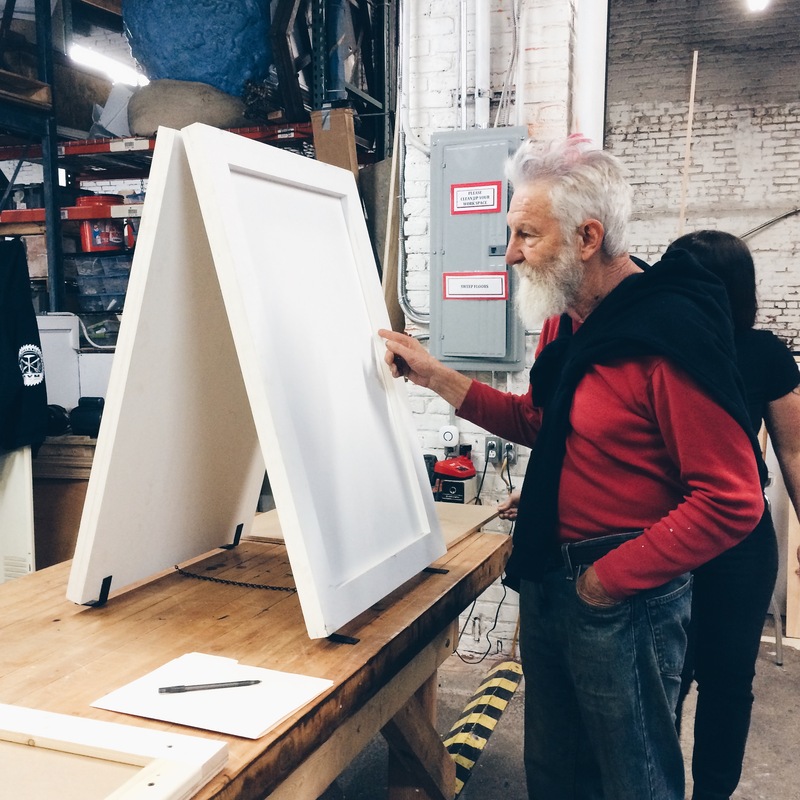 Award-winning mosaic mural artist, Isaiah Zagar, and internally renowned street artists, Gaia and NoseGo, will all be creating one-of-a-kind “Vote Here” signs for a city-wide Election Day art installation. Recognized for his decades of work creating more than 200 public installations throughout the city of Philadelphia and around the world, Isaiah Zagar is the true definition of an artistic legend. In addition to his incredible public pieces, Isaiah’s work is included in the permanent collections of numerous art institutions, including the Philadelphia Museum of Art and the Pennsylvania Academy of the Fine Arts, as well as, of course, his own Philadelphia’s Magic Gardens. 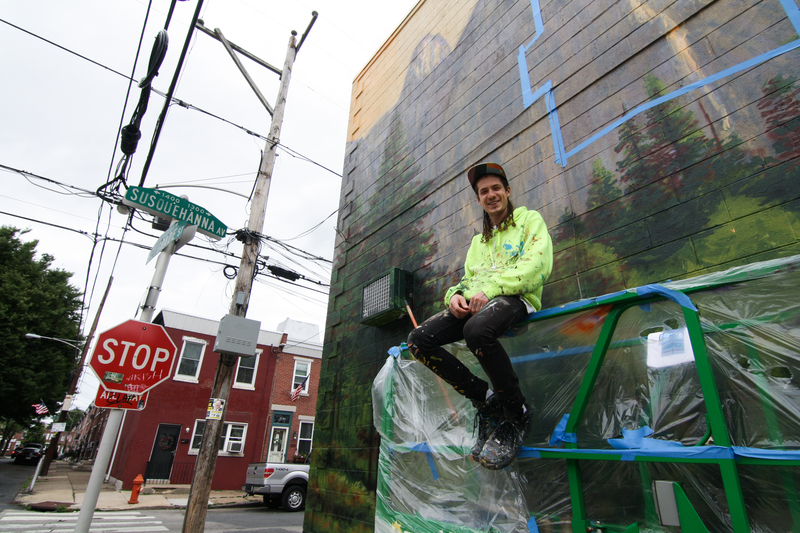 Baltimore-based artist, Gaia, who was recently listed in Forbes ‘30 Under 30’ in Art and Style, has been a valued member of the street art community in Philly over the last several years. Most recently creating a dynamic new mural in Fishtown which asks: ‘What is the aesthetic of reinvestment/gentrification?’ As well as his participation my “Evolution of Street Art” panel discussion last month at the Philadelphia Museum of Art. 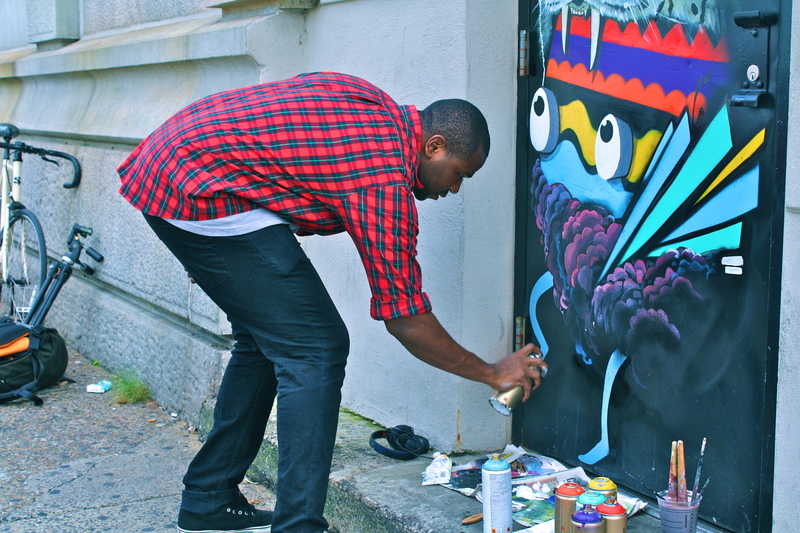 NoseGo is a Philadelphia-based artist with a passion for illustration and media arts. His work can be found on walls and in galleries around the world – but most importantly throughout Philadelphia. Over the last number of years, NoseGo has truly cemented himself as the rising star of Philadelphia’s contemporary/street art scene. Needless to say, we are BEYOND thrilled to have these 3 incredible artists joining us for this project, and we can not wait to see the signs they create! Isaiah, Gaia, and NoseGo will join a total of about 50 Philadelphia-area artists in creating signs for Next Stop: Democracy! If you’re an artist interested in working on the project, submissions are open for only a few more days – closing Friday, June 19th. So be sure to click HERE to apply today!